Only eighteen years old, Harry finally has been given the chance to do something that he’s wanted to do ever since he was a small boy: to fly a plane. Little does he know that very soon he is going to be called on to use his skill to help protect his country. 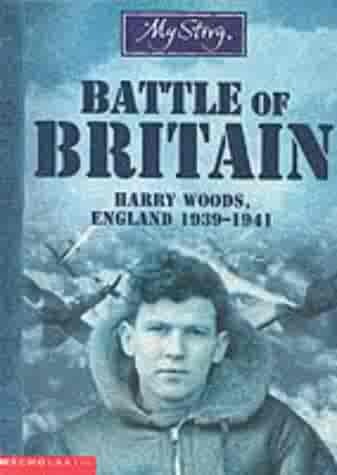 Not long after he begins learning how to fly England declares war on Germany and Harry is taken in and train by the Royal Air Force. As a pilot of one of the famous English Spitfires Harry is needed to fight Germany in the air and this he does again and again. Exhausted and worn out Harry and his fellow fliers keep going up into the summer skies over England and the Channel and on almost every sortie a pilot or a plane or both are lost. Over time Harry comes to learn more about this desperate fight that he is part of. He comes to realize what it means and how important his job is for England and for the allies. This excellent diary format story takes the reader back to a desperate time when the sacrifices and hard work of the few made an enormous difference in the lives of the many. Hundreds of pilots died in the Battle of Britain, so many that it is hard to imagine them being ordinary people with the same hopes and fears as the rest of us. In this book Chris Priestly gives those brave young men faces and personalities and thus makes them and their struggles real and powerful.